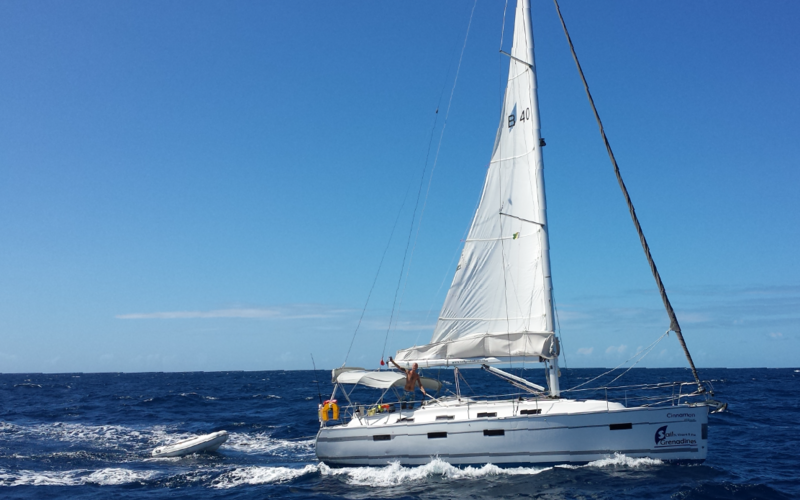 A high performance yacht with great sailing without compromising on comfort. 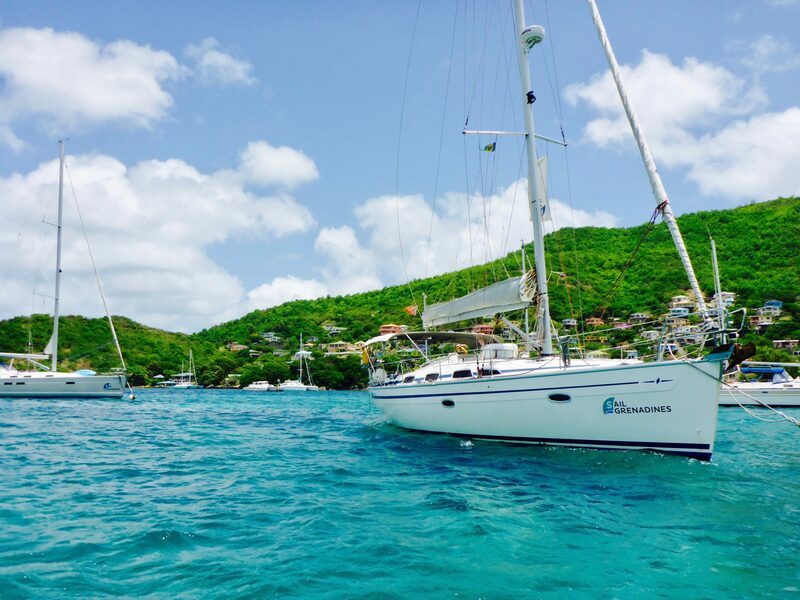 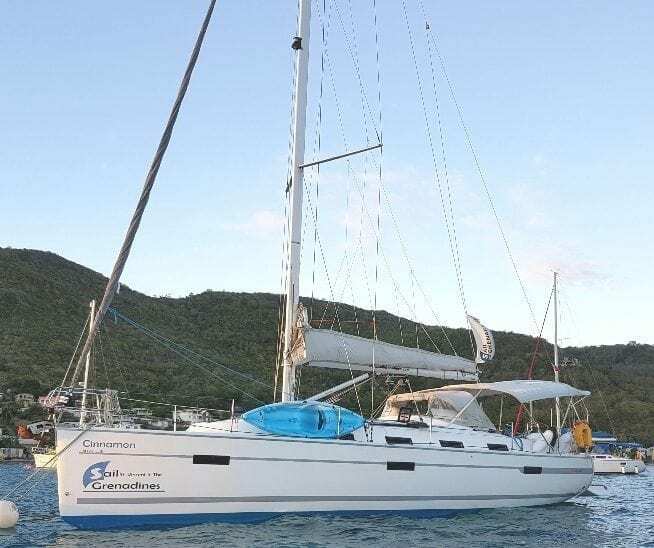 Bavaria 40s are ideal manageable yachts in the Grenadines with accommodation for up to six people in 3 double cabins and additional sleeping in the saloon for 1 on a single berth. 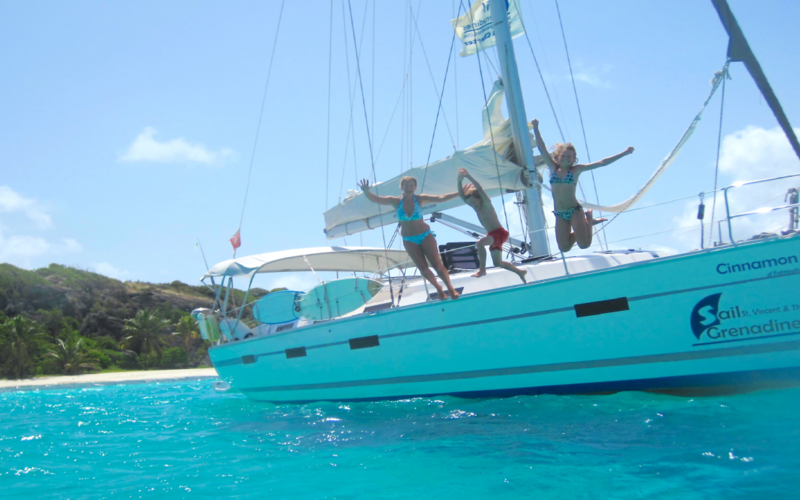 These yachts have twin wheels and are slab reefing, enhancing the sailing performance. 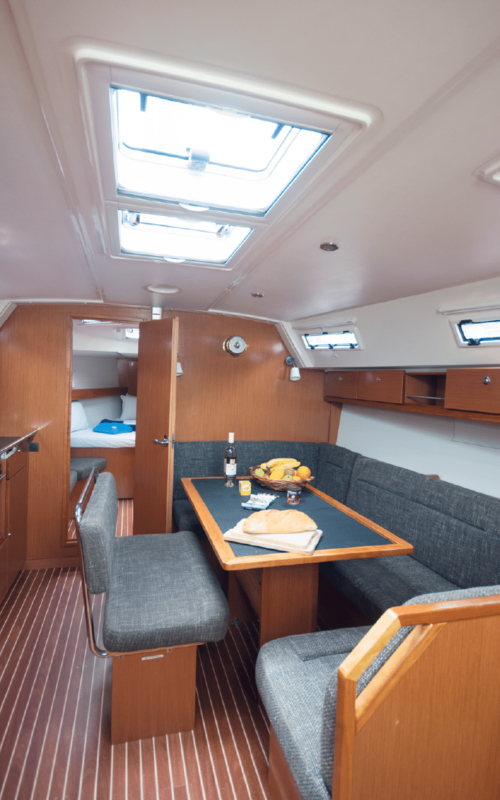 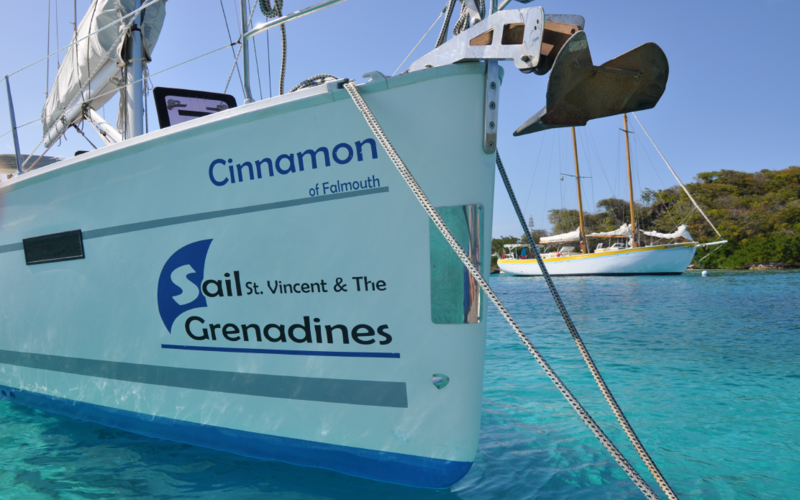 Cinnamon has teak decks and features a very spacious cockpit area with drop down bathing platform. 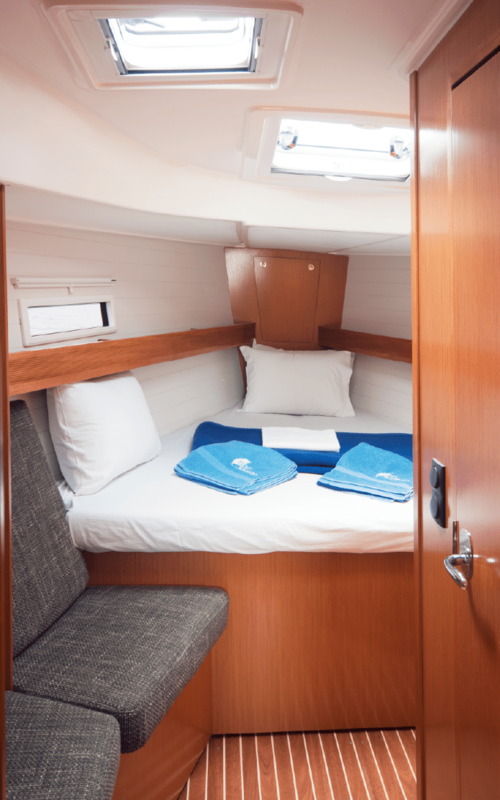 The accommodation is divided into six berths in three cabins with additional berths available in the saloon. 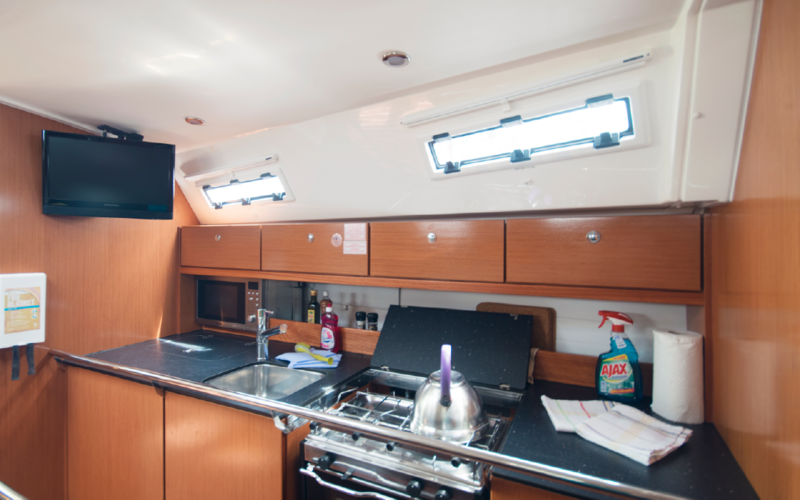 The boat has 2 heads (the forward cabin has an onsuite heads), large galley area and large bathing platform and cockpit. 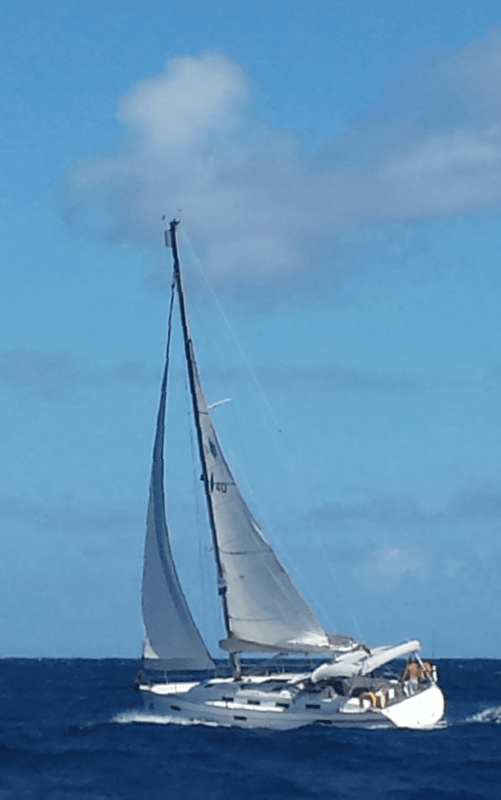 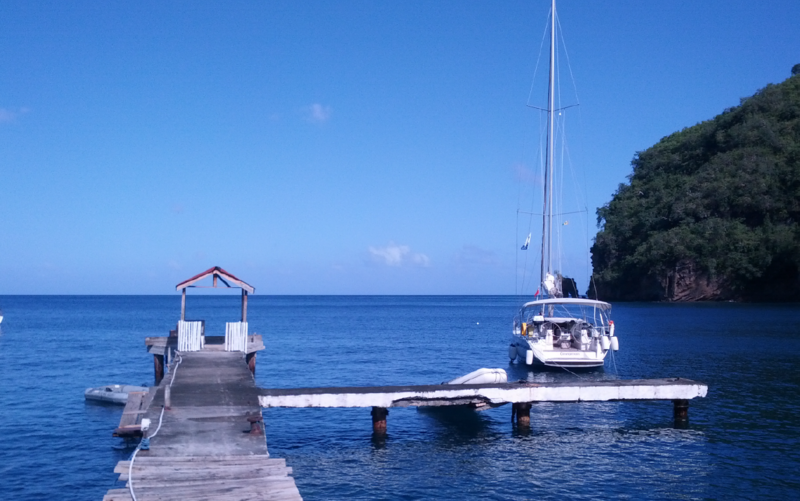 A very spatious yacht down below for her size.